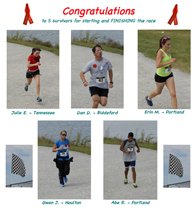 On Saturday, September 7, 2013, the KAT-Walk & Karo-5K for Brain Aneurysm Awareness was held at Portland, Maine. September is Brain Aneurysm Awareness month and this annual event is held to honor survivors and remember loved ones lost to this silent killer. 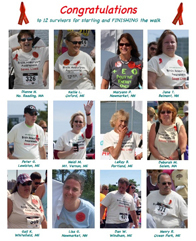 Families from Maine, New Hampshire, and as far away as Boston, Vermont, Baltimore, and Tennessee used this event to celebrate their survival or remember their loved ones lost to a brain aneurysm. 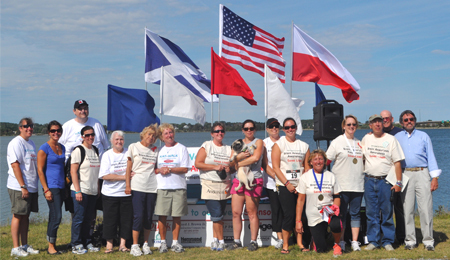 The ocean side Back Cove Boulevard was the perfect backdrop for the event hosting over 400 people that enjoyed a sunny day and “Shared their tears, Remembered with love, and Walked & Ran to honor”. In excess of $25,000 was raised to benefit the Brain Aneurysm Foundation, and we are proud these funds will provide critical awareness, education, support and research funding, which will ultimately save lives. On behalf of the organizing committee and all the families affected by brain aneurysms that joined us, we thank you for your continued support and for making this a special day and a huge success.